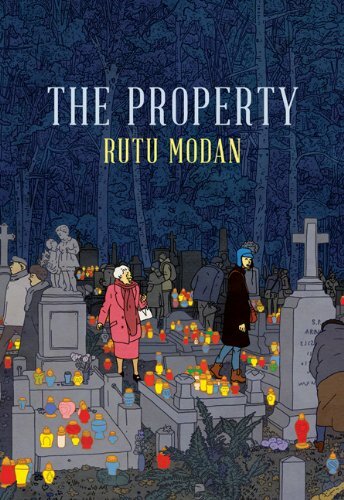 Rutu Modan’s latest novel is about a grandmother and her granddaughter traveling from Israel to Poland–the reverse journey. The journey is to find out about a building that belongs to the grandmother, but was abandoned during World War II. After a crowded plane ride surrounded by a party teens visiting holocaust sites, the two women settle in their hotel, and the grandmother becomes evasive. It turns out that she has another motive for visiting. It is about her former life in Poland and less about the property.In trying to find out from local lawyers and acquaintances what the situation is, Regina falls for a young Polish tour guide who leads visits to Jewish Warsaw. Modan’s romantic stories are generally awkward full of tension, argument and uncertainty–in other words real. Both these woman are seen trying to find love between themselves as Jewesses and Polish men. The tensions are multiplied because of this. Modan’s story telling is gripping and her drawings are cartoonish but windows into strong feelings, emotions and real engagement with what it means to be Jewish in the world from the perspective of someone who lives the tensions of life in Israel. Rutu Modan is the author of Exit Wounds, a book of shorter pieces called Jamilti and Other Stories. as well as two on-line projects in the New York Times: a visual blog called Mixed Emotions and a serial that ran in the Times magazine called The Murder of the Terminal Patient.